Got a craving? Order online now! When you think of a Houston donut shop, what do you think about? Donuts, right? Obviously. But not every donut shop is the same. Shipley Do-Nuts is much more than a Houston donut shop – it’s the ultimate donut delivery, breakfast catering, and yummy treat shop. 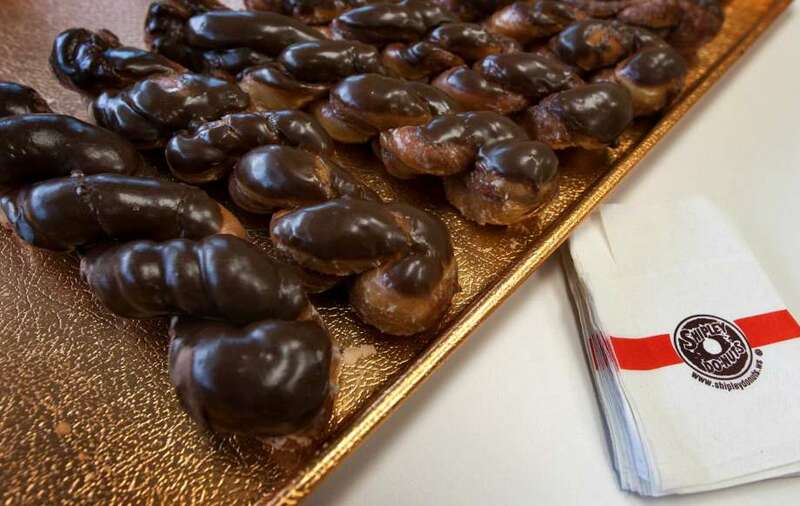 That’s right – we carry more than just donuts! Read on below to find out just what Shipley Do-Nuts has to offer you beyond a typical glazed donut. Who can resist a comforting, traditional glazed donut? The sweet glaze, the warm bread, that first taste when you take a bite… They’re absolutely delicious. While you can’t go wrong with glazed, there’s so much more Shipley Do-Nuts has to offer you. Our traditional donut options include chocolate glazed, 8 different types of icing, 6 specialty flavors (like our famous Bullseye and Oreo Cookie), 4 different types of sprinkles, 12 types of fillings, 13 cake-type donuts, and more. You have so many delicious options to choose from, so why not try something new? And don’t forget about our donut holes! Grab a bag to share (or not – it’s perfectly acceptable to keep them all to yourself!) and enjoy. Have you ever had a beignet? If not, you’re truly missing out! 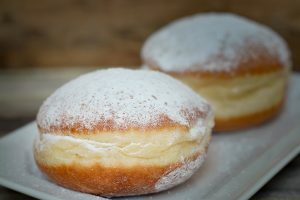 Beignets are a specialty pastry that originated in New Orleans, Louisiana. They are yeast dough that is fried and results in a light delicious pastry which some say tastes like funnel cake. 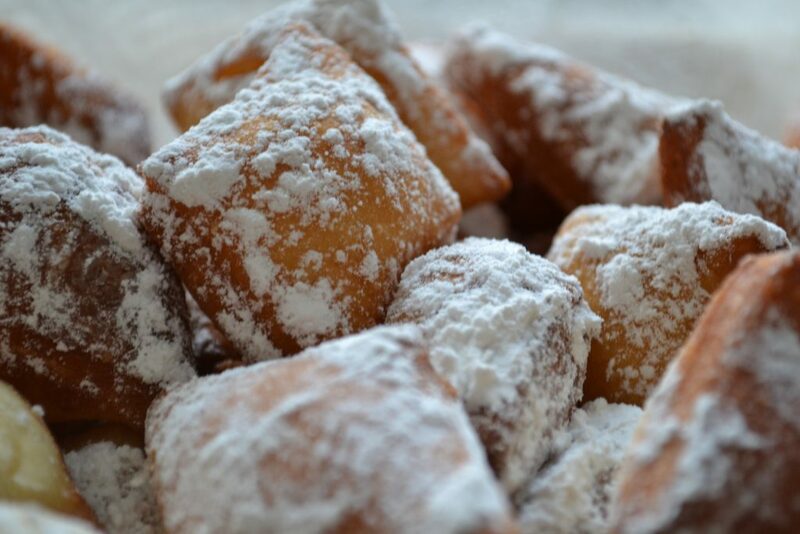 After being fried, beignets are smothered in powdered sugar. This light, fluffy New Orleans delicacy is a special treat we love to make. They are made-to-order, so always hot & fresh. Come in and try one today! 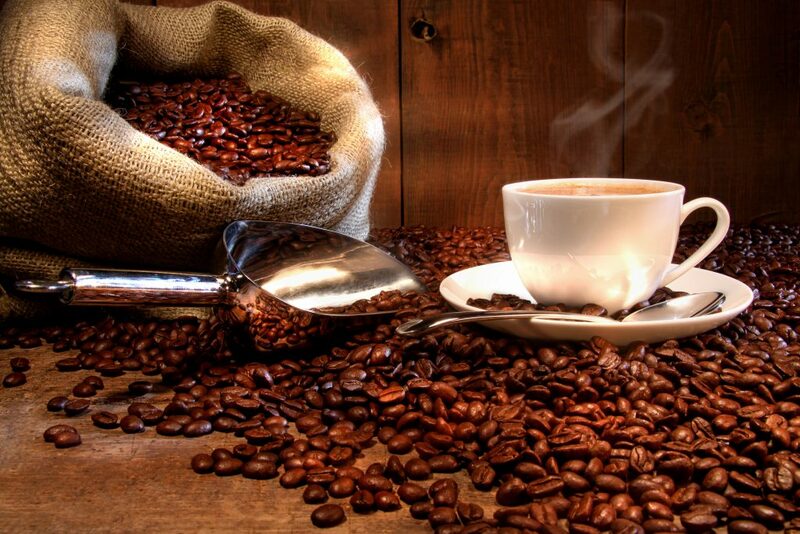 Don’t forget to try our coffee cakes! Choose from apple cinnamon, cream cheese, and blueberry. Some of our most-loved items are in this section. With more than 10 great specialties to choose from, you can’t go wrong. One of our most popular items was actually featured in the Houston Chronicle. The item is called The Hoffy Twist. It’s a new twist on the old favorite cinnamon twist. What’s different about it? We slather it in smooth, decadent chocolate! This treat was named after Houston Chronicle reporter Ken Hoffman and remains a favorite of Houstonians all over the city. When you’re in search of something savory rather than sweet, a kolache is a great choice. We offer kolaches as singles and in batches of a dozen. Choose from ham, sausage, grilled chicken, Italian sausage and more. Want it spicy? No problem. 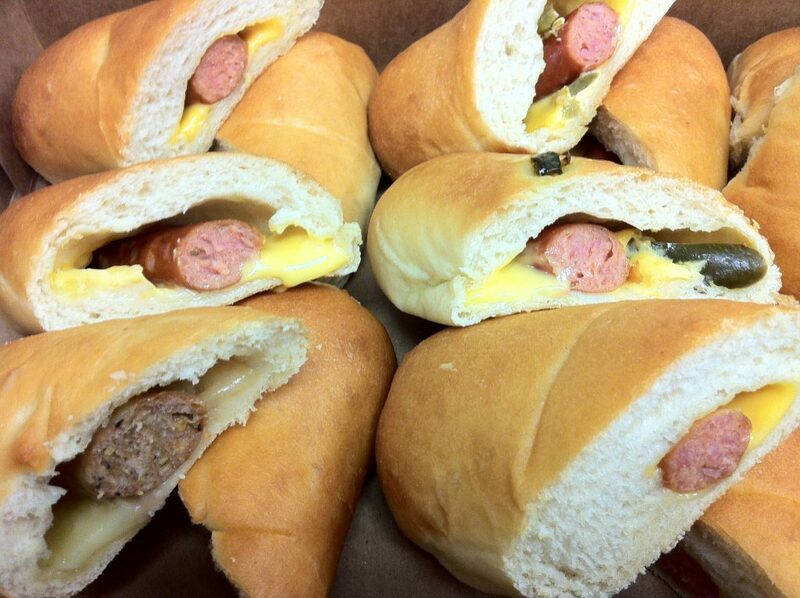 Try our jalapeno & cheese kolache or our Big Earl jalapeno sausage & cheese kolache. Don’t forget that you can add egg to any of our kolaches! We also offer Kolache Poppers for the perfect breakfast-style snack at any time of day! They’re 1/4 the size of a regular kolache, so they’re perfect for snacking and sharing with friends and family. Shipley Do-Nuts knows just how to quench your thirst. Whether you’re looking for an energy boost, to satisfy that sweet tooth, or just a simple refreshing taste, Shipley Do-Nuts has it. Our Coffeehouse Menu even has smoothies, lattes, frappes, espresso, and other specialty drinks for you to enjoy, like our Chocolate Turtle. This drink includes decadent chocolate, sweet caramel, and milk iced blended an topped with whipped cream, caramel and chocolate drizzle. Indulge in one of our drinks and you’ll see why Shipley Do-Nuts is a one-stop shop for way more than just donuts! Come Try Something New at Shipley Do-Nuts Today! Intrigued? Have we sparked a craving? Head on over to your nearest Shipley Do-Nuts location to try something new today! We can’t wait to share all of our delicious treats and refreshments with you. See you soon! You can also order online or order catering and delivery!